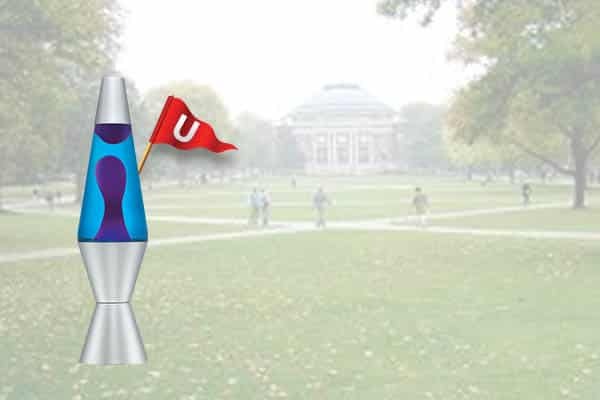 Last week we held a social media contest – the Custom Cool Name Game – where we asked people to create a Custom Cool Lava® lamp and give it a cool name. People came up with some pretty awesome lamps, and funny, creative names! See if you can match these awesome names to the cool lamps our Facebook followers created! And the winner of the contest (left) was Jessica Surland for her Halloween-appropriately named lamp “Radioactive Monster Snot!” Very unique and great for the Halloween season! 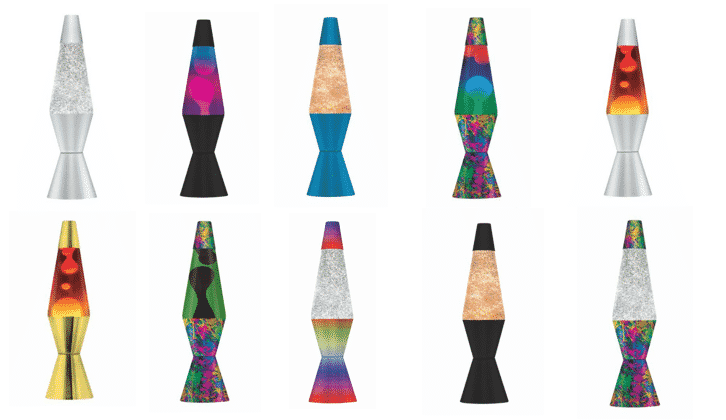 Have you created your own customized Lava® lamp yet? Check out our Custom Cool page to pick your own base/cap and globe to make a special lamp that is just for you. Or, make a unique lamp as a gift for someone you know! These lamps cannot be found in any store – ONLY on our website! Get Into the Spirit of Children! 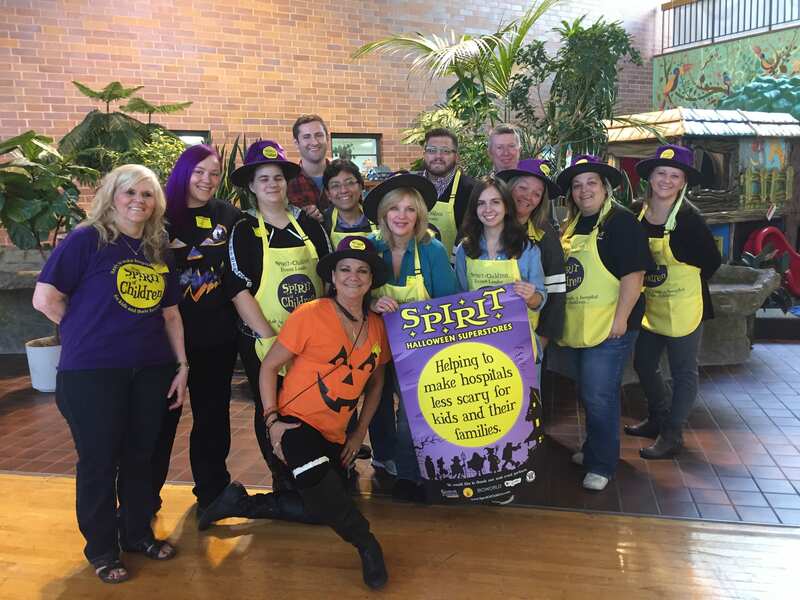 Lifespan brands had the honor of participating in a couple of Spirit of Children events held by Spirit Halloween in the Chicago area. The Lava® lamp team members visited Shriners Hospitals for Children and Ann & Robert H. Lurie Children’s Hospital of Chicago Thursday, October 13. Both medical centers provide top-rated health care for children suffering from a wide range of conditions. 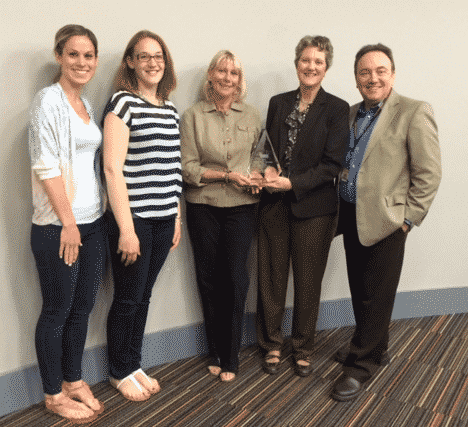 The Spirit of Children program aims to provide some fun and entertainment for the kids and their families in the hospitals, and Lifespan Brands was happy to be included in this year’s festivities. It was so touching to meet the brave kids who fight tough diseases every day and watch them enjoy some fun activities! Kids were able to pick out free Halloween costumes from Spirit Halloween, try on masks, and have their faces painted. There were pumpkins to paint, creepy crafts, and some ghoulish games to entertain the kids and their families. 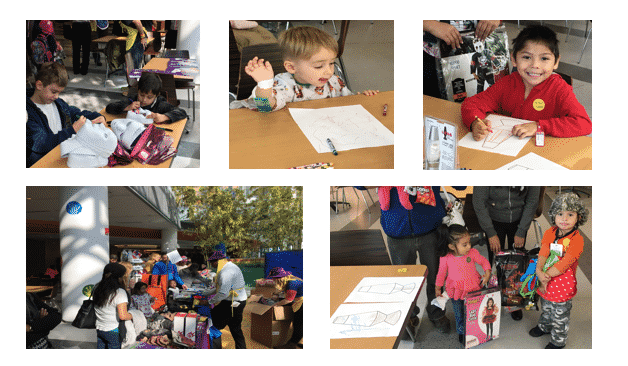 Spirit Halloween also donated fun toys and crafts for goody bags that the kids could take back to their rooms. 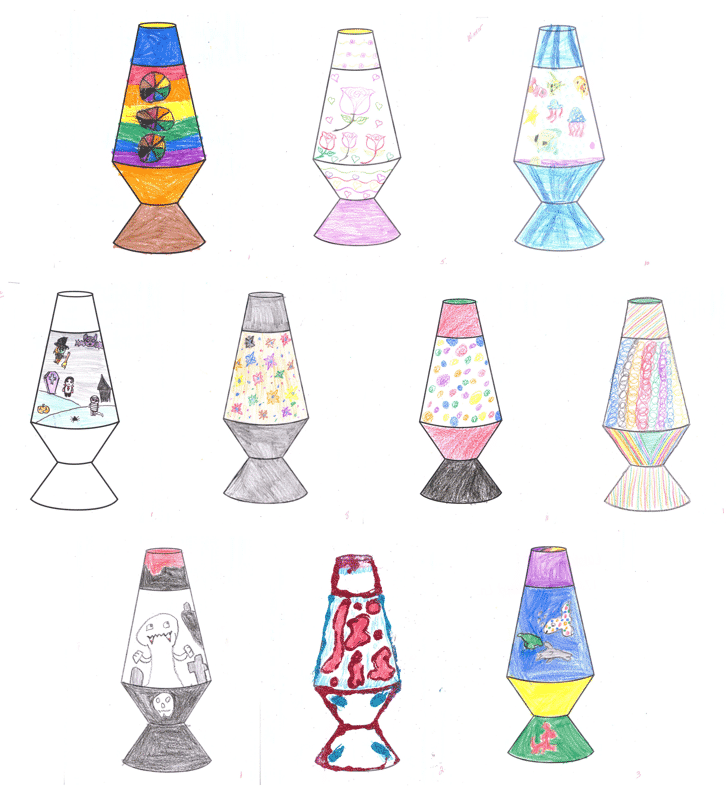 Lifespan Brands asked kids to get creative and design a Lava® lamp to enter a coloring contest. Lucky winners will be chosen from each Spirit of Children party across the country and will receive free Lava® lamps. 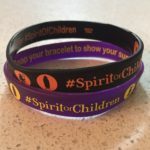 So remember, when you’re buying your Halloween costumes at Spirit Halloween stores, please donate to the Spirit of Children fun and show your support with a bracelet! Your money will support a truly wonderful cause for kids in hospitals throughout the country! Please take a moment to visit the hospitals’ websites and social media to learn more, and possibly find a way to help out. 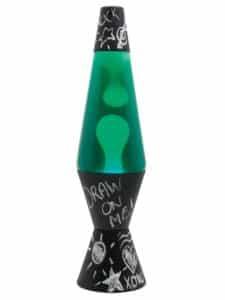 Awesome blog post by 24/7 Moms blog with great ideas of how to use the Draw On Me Chalkboard Lava® lamp that you can redecorate over and over again! Plus, the blog is giving away a Green Chalkboard Lava® lamp, so check out the blog post and be sure to enter to win! 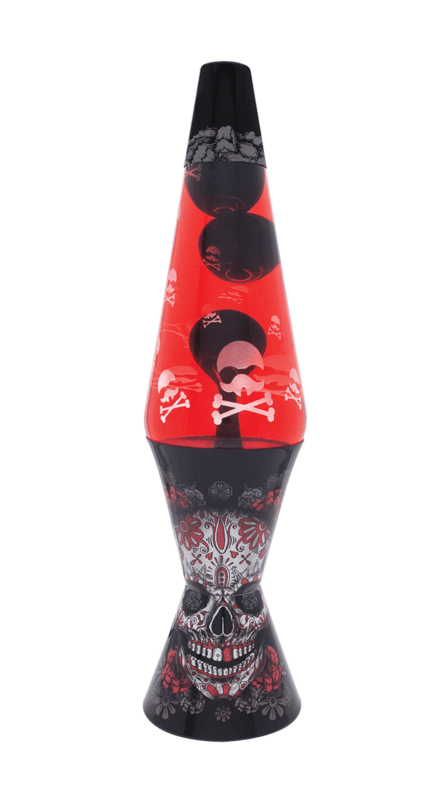 Deck out your dorm room with cool products from Lava® Lamp! Your dorm room is the place where you will do so many things throughout the year such as studying, partying and of course hanging out with your friends! You will need fun, versatile accessories that will allow you to keep up with the fast paced fun of college life. 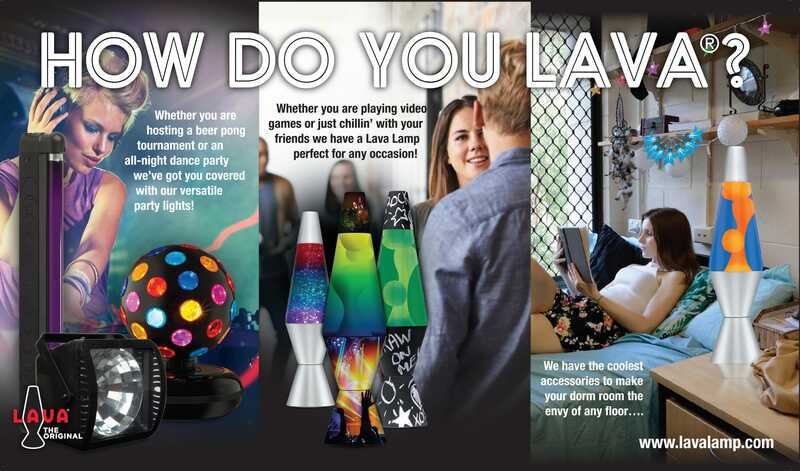 The fun Lava® lighting and party products are a great way to decorate your room and make the most out of your limited space. We have all of your college bases covered – whether you are studying, partying or just relaxing with friends, we have a cool Lava® product for you! STUDYING: Brighten up your desk with the innovative Lava® Plus lamp! It is like getting three lamps in one! You can use it as a decorative desk lamp, an entertaining Lava® lamp OR both at the same time! Easily flip the switch depending on which mood you are in. Another great feature of this lamp is the size – It is compact but gives off a nice illumination. PARTYING: Whether you are hosting a beer pong party or a fun dance off, we’ve got you covered with our versatile party products! From party classics like the strobe light to the brightly colored disco ball, we are constantly developing new and exciting party items. We also have battery operated mini party products so you can take the party with you wherever you go! HANGING OUT: Hosting a study session, video game marathon or just relaxing with your friends? We have a Lava® lamp perfect for you. Stressed out from studying? Watching the wax flow will calm you right done – perfect for finals week! We offer many different Lava® lamps to match any mood or décor. All of our lamps feature hand spun bases, glass globes and mesmerizing wax or glitter. We offer several different sizes of lamps to fit any space! 11.5”, 14.5”, 16.3”, 17”, 18.5” and the biggest one we make called the Grande at 27”. Our ColorMax™ line offers brightly colored decals on the tops and bases with hand painted globes and white wax. As the white lava passes through the multi-colored glass globe, the moving lava absorbs the different colors and changes. We are introducing two new lamps this year. One features a concert scene – because music and Lava® lamps go hand in hand and the other is Northern Lights which allows you to enjoy one of the Seven Wonders of the World right at home! We also offer glitter lamps for those who love all things that sparkle. 2016 is brighter than ever with our new Glittermax™ lamp which features glitter paint on the base and cap combined with swirling glitter inside the glass globe give it an extreme glitter look. We also have a new lamp that features a tri-color hand painted globe with silver glitter inside! We are very excited about our new Lava® lamp featuring chalkboard paint on the base and cap! It allows for complete customization of the lamp. Draw pictures, write notes, erase and repeat for endless hours of fun! Check out the Lava® lamps in this great list of college essentials from Spencer’s and BuzzFeed! A Lava® lamp can bring a lot of color and joy to any room. Just about everyone who has one loves to watch the soothing combination of light and motion all day and all night. Light bulbs don’t last forever, unfortunately, but that doesn’t mean your Lava® lamp has to go dark forever. The light source inside a Lava® lamp can be replaced just like any other type of lamp. Yet given the unique nature of the Lava® lamp, you may be wondering, “What kind of bulb does a Lava® lamp take?” The good news is that it’s easy to determine what size light bulb works best for your Lava® lamp. Even though they look different than any other type of lamp on the market, Lava® lamps do not require special bulbs. However, they do require bulbs specific to the lamp’s design. Finding the Lava® lamp bulb size that works best for your particular model will guarantee you’ll be able to keep your Lava® lamp in good working order for as long as possible. Below, you’ll find a handy chart that will help you find the proper Lava® lamp bulb wattage and size based on the type of Lava® lamp you have. The majority of these are common appliance-type bulbs that can be found in most major retailers, including Target, Walmart, Home Depot, etc. Check out the chart below to help you choose the right wattage bulb for your lamp. (Bring the bulb to the store if that will help you confirm that you’re getting the right one.) Be sure to get a two-pack so you’re prepared for the next time and won’t have to make another trip to the store before you get your Lava® lamp glowing and flowing again! We also have our own Lava® lamp brand bulbs available on our website at Lava Lamp Bulbs – Parts and Accessories and at many retailers. When you order your Lava® lamp replacement bulbs and accessories directly from us, you’ll be sure to find exactly the right bulb and parts for your lamp. Can You Take a Lava to College? A Lava® lamp is a necessity for most heading to college! Spencer’s just named us one of the top 5 essentials for college dorms. We see a lot of talk about taking Lava® lamps to decorate dorm rooms. Mostly, there are no dorm policies against using Lava® lamps. Be sure to check your dorm’s policies, just to be sure. 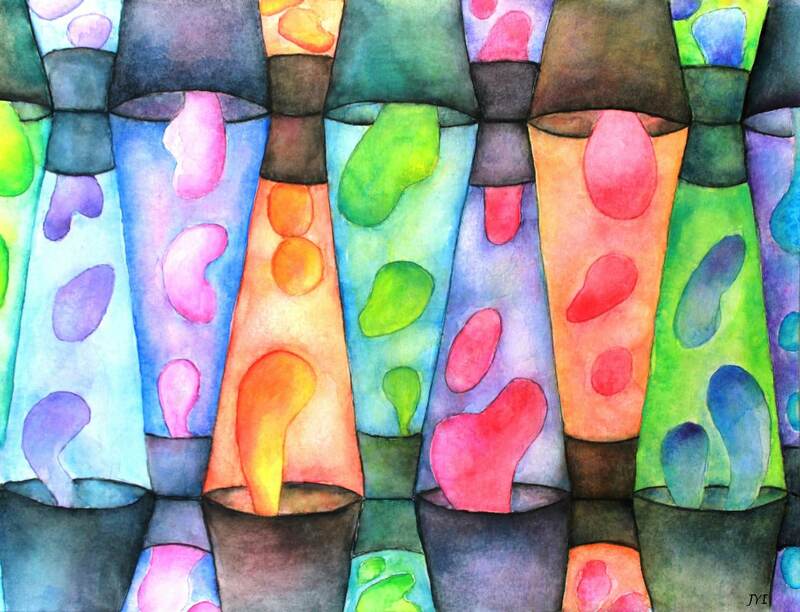 Lava Lamps DO NOT Use halogen bulbs. Many Colleges do not allow any lamps with halogen bulbs. Halogen does get much hotter than the standard appliance sized bulbs that our lamps take. 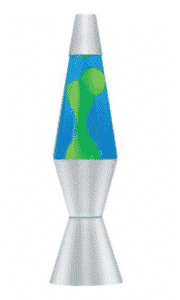 We recommend using Lava® lamps for periods of 8 hours. They do get warm and need a break. They won’t cause a fire, but they might start the lava in your lamp flowing in little dot patterns instead of big oozing wax which circulates the globe. If you do this continually – you might ruin your lava lamp globe, then you would be sad. It might be a good idea to bring a timer if you are studying all night – its one less thing to worry about. 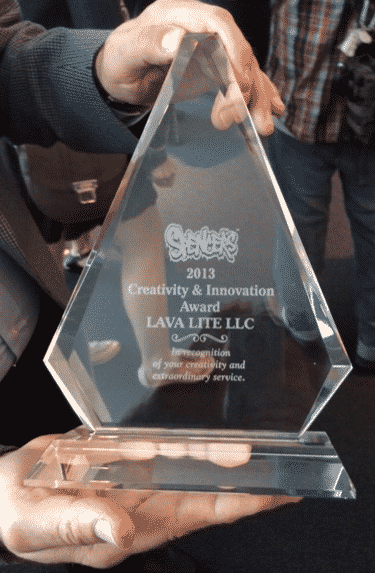 We are thrilled to announce that Lava Lite is the WINNER of Spencer’s 2013 Vendor of the Year for Creativity and Innovation award. Thank you, Spencer’s, for recognizing the hard work that we are happy to do for you! 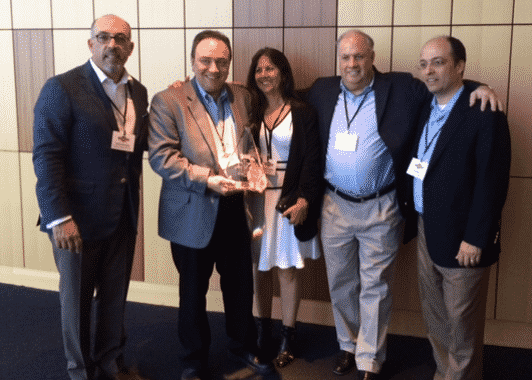 Here are some photos from the fantastic ceremony that was held in Atlantic City on May 13, 2014! Our CEO, Clay Farnsworth (far right), his lovely wife, Chris (second from right), who is also a Lava employee, with the Spencer’s Buying Team. Lava® Lite, LLC was proud to partner with Spencer Gifts’ charity, Spirit of Children, this Fall. Hospitalized children were invited to use their imaginations to draw the contents of Lava® Lamps. All participants received a Lava night light and winners won a 17″ Lava® Lamp. Here are just a few of the fantastic drawings that we received. Thanks to Spencer’s for the opportunity and a HUGE thank you to all of the kids who participated! Check out this beautiful piece of artwork! Done in watercolors, it was a gift to our President and CEO, Clay Farnsworth, created and given by Janet Powers Immordino (his cousin). It’ll hang in a place of honor at Lava® lamp HQ.